Peter Lawrie closed with a six under par 66 in Korea to grab his first top ten finish since he won last year's Spanish Open. Just a week before he defends that title, the Dubliner claimed a share of eighth place in the Ballantine's Championship, finishing just three shots outside a play-off won by Thailand's Thongchai Jaidee. 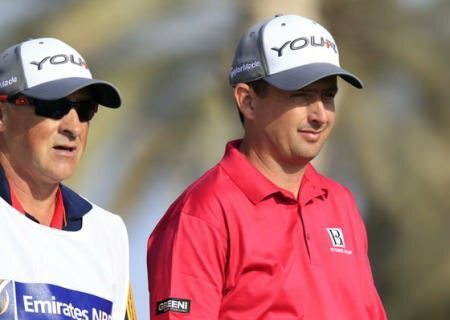 After a nightmare run of five missed cuts from eight starts this year, Lawrie travels to defend his title in Spain next week hoping he has found some form in the nick of time. "I struggled the last couple of weeks," he admitted. "I missed the cut last week, and I missed the two cuts in Spain and Portugal. "But I'm delighted to be here for the weekend because I got up and down on the last on Friday to make the cut on the mark, so it was a nice way to finish. "The same happened last year to be honest. I missed the cut in Beijing, I finished tied for ninth in Shanghai and I won the next week. The game is coming around, so hopefully see what happens next week." 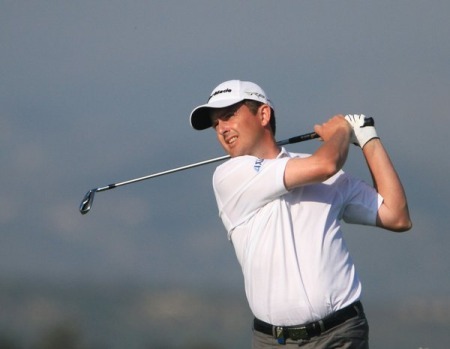 Lawrie might have enjoyed an even better weekend in Korea had rain and strong winds not affected the second and third rounds of the co-sanctioned European and Asian Tour event. On those two days Lawrie shot rounds of 75 and 76, having opened the tournament with a two-under 70. But he refused to think of what might have been, saying: "You can't do that. Never look back, so always look forward. So 66 around that golf course on a day like today is very good. "It was one of those days. I just got used to the weather yesterday. Yesterday was very tough. Today was a little bit easier, and I holed a few nice putts. "But I played lovely golf. I hit a lot of fairways and a lot of greens and gave myself a lot of chances." 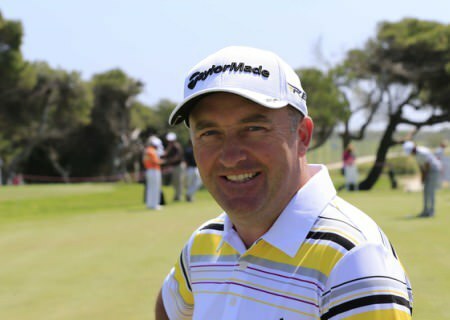 Now Lawrie focuses on successfully defending a title for the first time in his career, even though he will not be doing so at the Real Club de Golf in Seville where he won the Spanish Open last year. "It will (be strange) because you're not back in Seville," he said. "It will be a bit strange but I've never been a defending champion before so it is going to be strange no matter what happens. "I've been out here a long time, played Challenge Tour for a good few years. After a while, you think if you've been doing the lottery for 40 years, it's about time you're going to win something," he said of his win last year. "Thankfully I won last year, so it opens a few doors, you know, especially getting into tournaments and stuff like that. It does boost the confidence." Gareth Maybin finished tied 27th on four-over after a level par 72 with Paul McGinley's 73 leaving him tied 47th on eight-over. 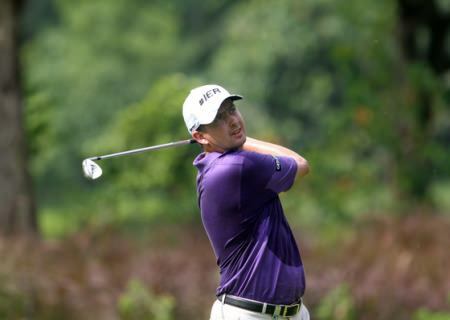 Jaidee trailed third round leader Robert-Jan Derksen by four shots coming into the final round but shot a two under par 70 to move into joint first alongside Spain's Gonzalo Fernandez-Castaño and local player Kang Sung-hoon on four under. Returning to the par four 18th for the play-off, Jaidee hit his approach to five feet and holed the putt to win his second co-sanctioned European and Asian Tour event of the year following his success at the Enjoy Jakarta Indonesia Open in March. 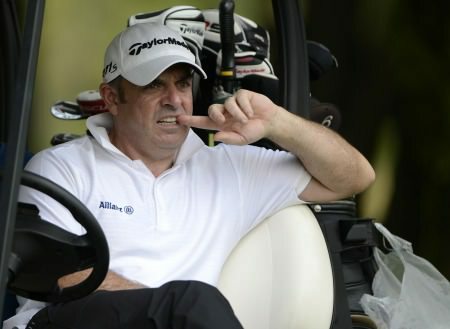 It was Gonzalez Castaño's third runner up finish in a row following his play-off defeat to Michael Hoey in Portugal and one stroke defeat to Scott Strange in last week's Volvo China Open. "This one hurt," he said. "But that's golf. Finishing second again means I am playing well but you want to win. I am pretty close and hopefully I can win soon. If I don't, maybe I can console myself looking at the bank account."